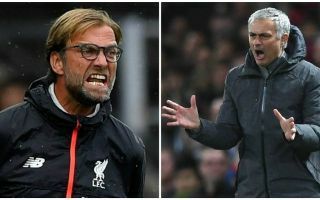 Manchester United could stand to benefit and Liverpool probably won’t be complaining either as a potential swap deal with Real Madrid looks in doubt. According to Don Balon, Gareth Bale is not keen on taking up the offer of moving to Liverpool as part of an exchange that would see Mohamed Salah move to the Bernabeu. The Wales international is said to prefer the idea of either rejoining his former club Tottenham or moving to United this summer if he is to leave Real Madrid. It’s fair to say things haven’t gone to plan for Bale of late in what has been a disappointing year or two for him in the Spanish capital. Injuries have hampered the 28-year-old’s progress and a return to the Premier League perhaps seems the best bet for him to help him regain confidence, though Diario Gol have previously suggested he’d cost around £70million. Bale could fit in well at United or Liverpool, but it seems he’s not attracted to the idea of a move to Anfield, according to Don Balon. It’s not quite clear why given the Reds’ success under Jurgen Klopp this season, but they would surely rather keep Salah anyway given the Egyptian’s remarkable goal-scoring form since he joined from Roma last summer.